The KR600S copper wire granulator belongs to the complete production line developed by our company to recycle the copper out of the various wires. The machine is featured with novel design, compact structure, low power consumption and stable performance. What’ more, it can separate copper granule from plastics completely. 1. 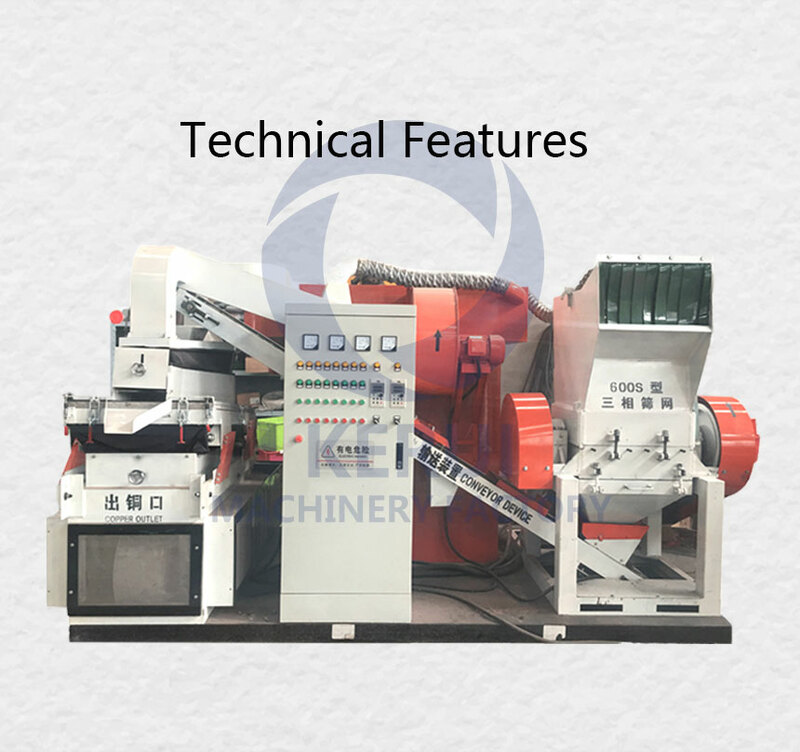 Wide Application: Copper wire granulator is designed to recycle various kinds of copper wire and cables with diameter between 0.5-30 mm. 2. Multi-function: KR600S copper wire granulator combines the complex processes into one, including crushing, conveying, dust collecting, separating process. It can recycle both the copper granule and PVC plastic. 3. Environment-friendly: KR600S copper wire granulator has solved the pollution caused by the burning of the copper wires. With high copper recycling rate of 99.9% at least, the device is with excellent dust removal performance because of the adoption of the fully closed production model.